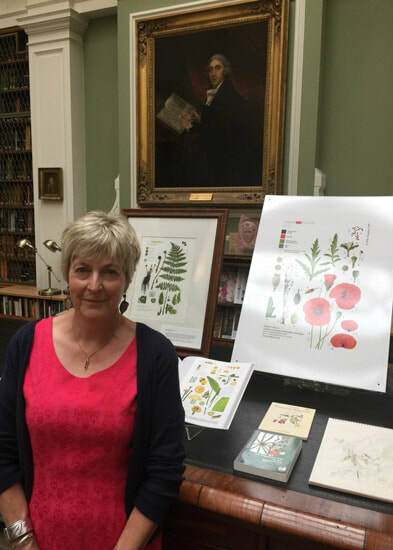 The Jill Smythies Award is made annually to a botanical illustrator - for excellence in published botanical illustrations. "for publishing illustration, such as drawings or painting, in aid of plant identification, with the emphasis on botanical accuracy and accurate portrayal of diagnostic characteristics. Illustrations of cultivars of garden origin are not eligible". The award comprises a silver medal and a prize of £1,000. It is usually (but not always) awarded annually by the Council of the Linnean Society of London to anyone not at the time a member of Council. Individuals nominated for the prize are invited to submit work. Submissions are then scrutinized by a Committee appointed by Council of the Linnean Society and chaired by a Secretary of the Society. ​The award was established, via an endowment by Bill Smythies in honour of his wife Jill whose career as a botanical artist ended due to an accident to her right hand. 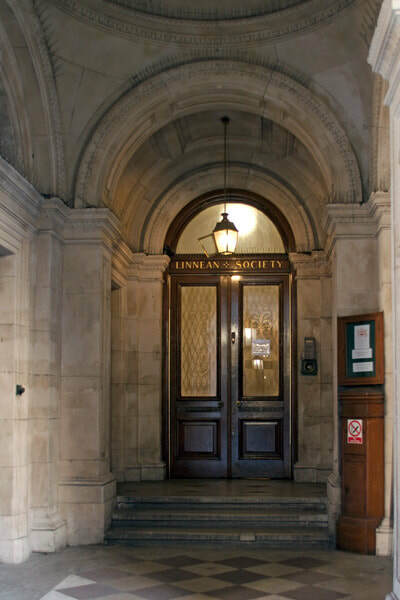 Medals, Awards, Prizes and Grants by The Linnean Society of London, Burlington House, Piccadilly, London, W1J 0BF, UK. The Society aims to promote the study of all aspects of the biological sciences. Through awarding medals and grants, the Society acknowledges and encourages excellence in all of these fields. ​You can find out more about Jill Smythies and her work as a botanical artist at the bottom of the page. ​Excellent botanical art (drawing or painting) that is 'an aid to identification and a portrayal of diagnostic characteristics'. It should include two or more items of the same taxonomic group for comparison. Illustrations of cultivars of garden origin are not eligible. Paintings en masse of seeds or fruit, which do not portray diagnostic features. Potential candidates for the award must be nominated using the form on the website. The closing date for nominations each year is 30th November. Examples to be provided either as an off print, at the candidate's (or the nominator's) expense. Access to electronic examples of the nominees published work e.g. in electronic journals, or on their own websites, should be considered if available. The winner will be asked (when notified of their win) to provide high quality copies or the originals of publications not already in possession of the Society, to enable the Librarian to mount a suitable exhibition at the Anniversary Meeting in May. In addition, an electronic montage of the winners' entries will be posted on the Society's website, and a half tone/colour plate (as appropriate) in The Linnean as a supporting image. Artists may be invited to resubmit in successive years if unsuccessful initially (but not otherwise, unless they consider that they fully meet the entry criteria). ​A list of the recipients of the Jill Smythies Award is maintained in the Linnean Society of London website. While the award is made by the Linnean Society of London, it is an international award and not all recipients are British. If the awardwinner has strong associations with a particular botanic garden I have indicated this. Jill drew double-page spreads of typical plants of key Iberian habitats for a joint field guide written with Oleg Polunin, Flowers of South-West Europe: a field guide (1973). 1986 - Endowment offered by Bill Smythies FLS to The Linnean Society of London for 'The Jill Smythies Award for Botanical Illustration' - a prize for botanical drawing which contributes to plant identification. The above draws on and summarises the account by Dr Stephen Jury and the Herbarium newsletter. She was not born an artist like Walter Hood Fitch, who could draw a plant freehand on a lithographic stone and get it right first time, without having to correct a line. Jill's pictures only emerged after much toil and sweat, erasing of lines and redrawing. To improve her technique she enrolled in the Flatford course three years running: 1967 and 1969 with Derek Erasmus, 1968 with Mary Grierson. Following an accident to his wife's right hand, which cut short her career as a botanical artist, he endowed an award through the Linnean Society, established in 1988 and now consisting of a silver medal and pounds 1,000, given annually, "for published drawings or paintings, in aid of plant identification, with the emphasis on botanical accuracy".